Toshiba L50-C-1FU 15.6" Business Laptop Intel Pentium N3700, 8GB RAM, 1TB HDD. They are thoroughly tested to be in full working order, professionally refurbished, data wiped and restored to Factory default state.Cosmetically they would bear marks and moderate to heavy scratches, marks or dents. None of these will affect the functionality of the product.They may be in replacement packaging might have non-original accessories. Non-essential accessories (Manuals) may be missing. Balance of Manufacturer's Warranty/90 Day return to Laptop Outlet. Note : Images and Videos are only for illustration purposes. Please refer to technical specs for exact model and details. Available in Red Colour. Series Satellite L50-C is fully optimized for Windows with selected and tested hardware that allows smooth use of all your favorite applications. 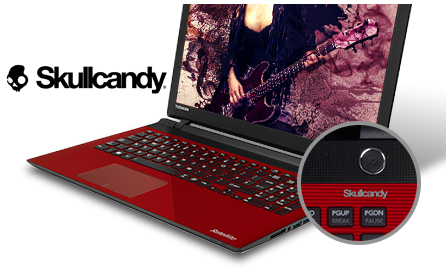 With a choice of powerful Intel processors * and Intel HD graphics. You can count on faster processing of all tasks and speed multitasking. Wherever you are, take the fun with you. In addition to the 15.6-inch HD screen, HDMI output, available on selected models allows sharing Ultra HD content from your laptop to Ultra HD TV. Satellite L50-C also offers an innovative audio technology with built-in speakers with Onkyo DTS® Sound, exclusively tuned and certified by Skullcandy, so all your content look and sound uncompromisingly. 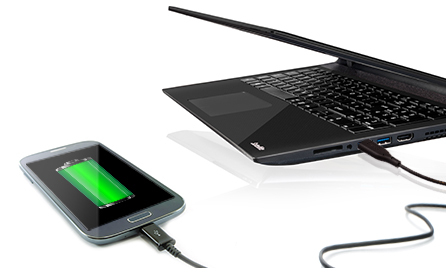 Quick and easy connection to USB 2.0 and USB 3.0 ports, including a high-speed USB 3.0 port functionality with Sleep-and-Charge to charge devices in sleep mode. Available HDMI output port reproduce Ultra HD content on a bigger screen of a compatible HD TV. You can choose between Satellite L50 -C. Allowing you to keep all your digital content on a disc with extremely long life that will preserve it forever.